This versatile rescue stretcher is specially designed for both vertical and horizontal types of rescue. 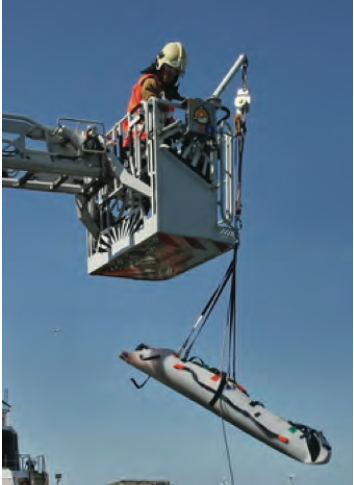 The stretcher can be used evacuating persons from confined spaces, rough terrain, from heights, from water and all in both a vertical and/or horizontal position. The stretcher has color coded straps to reduce mistakes when immobilizing the victim. There are no straps underneath the stretcher, but integrated into the stretcher. In this way obstacles cannot cut or damage the straps during rescue operations. 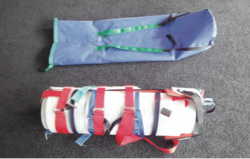 The stretcher has 9 carrying handles on all sides (over almost whole lengths) of the stretcher makes it easy and comfortable to carry the stretcher.